Marvel this evening debuted the first teaser trailer for Ant-Man during the premiere of the limited series Agent Carter on ABC. Starring Paul Rudd, Evangeline Lilly, and Michael Douglas the movie is directed by Peyton Reed. 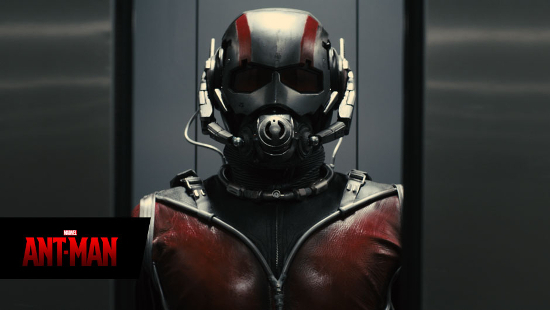 Ant-Man, which will wrap up “Phase Two” of the Marvel film slate, is set to release on July 17.